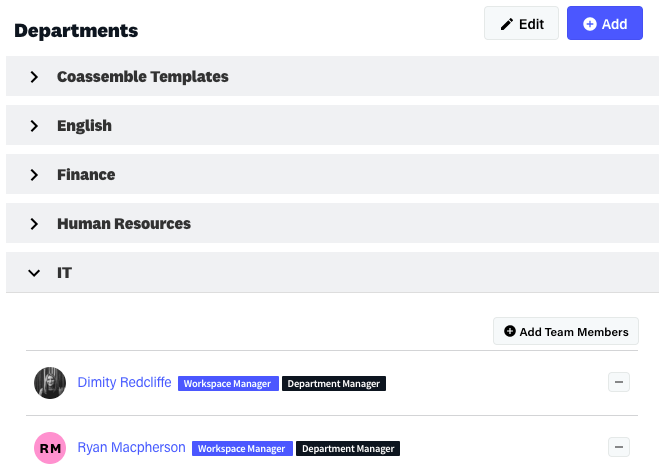 How do I create a Department Manager? A Department Manager will have specific access to the Department they are a Manager of. Their access to the Department is dependant on what level permission is assigned to them. 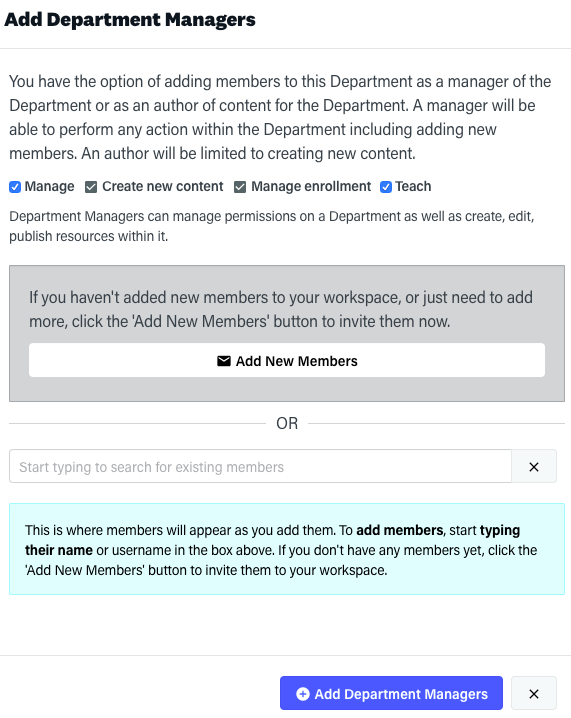 To assign a member to the Department level permissions, please follow the steps listed below. If you would like to learn what a Department is, click here. If you would like to learn how to create and manage your Departments, click here.